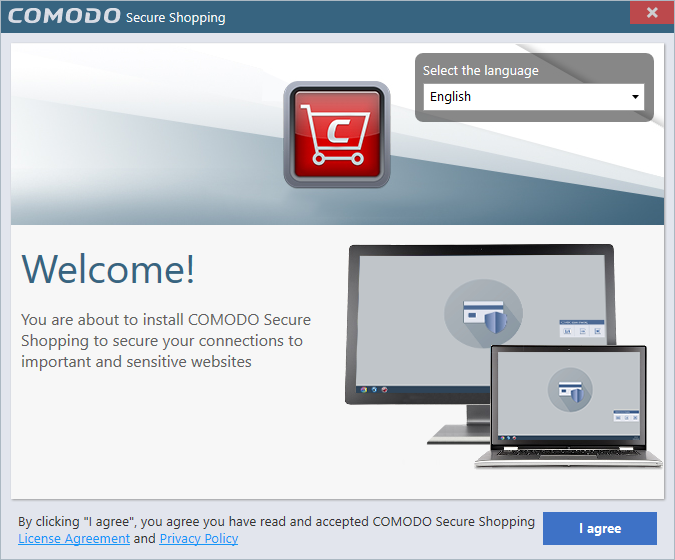 How do I Install Comodo Secure Shopping? 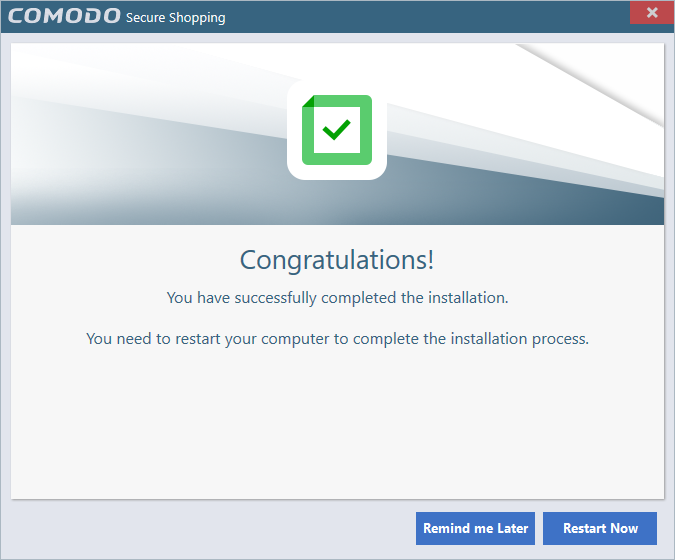 Download the setup file from https://www.comodo.com/home/internet-security/secure-shopping.php	and save to your local drive. Next, view and agree to the terms and conditions by clicking 'I agree' at the bottom of the interface. The default installation location is C:/Program Files/Comodo/COMODO Secure Shopping. Click the 'Browse...' button if you want to install to a different location. Enter your email address in the second field if you would like to subscribe to Comodo news and get offers and discounts from Comodo. 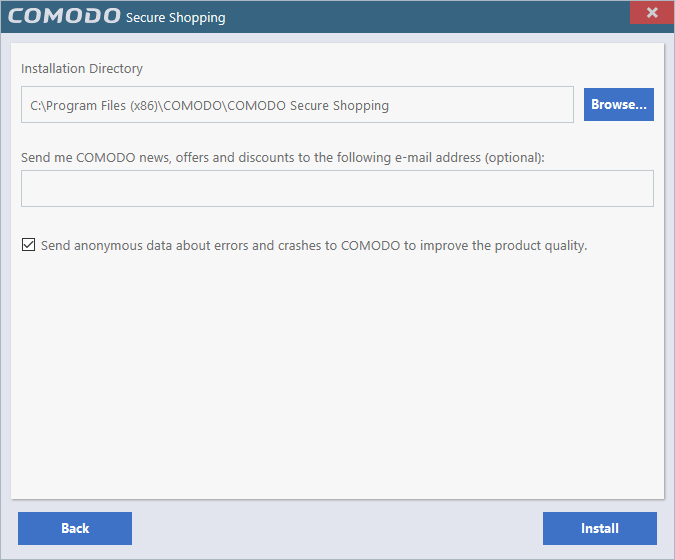 'Send anonymous data about errors and crashes to Comodo to improve the product quality' – Help us to improve Comodo Secure Shopping by automatically submitting crash and error reports. Your privacy is protected as all data is submitted anonymously over an encrypted channel. You need to restart your system to the complete the installation. Click 'Restart Now' or 'I will restart later'.